Today's comics trick comes from the one and only Neal Adams! Now, while Neal Adams is a legend in the comic book industry, it's a lesser-known fact that he used to work in the comic strips first. 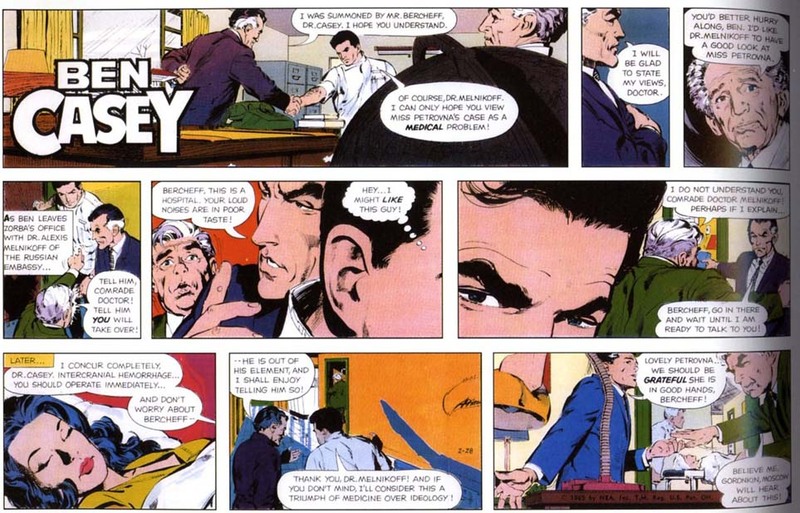 And one of his first assignments was a comic strip version of the 1960s medical drama, Ben Casey. Even then, during the Sunday strips, Adams showed signs of brilliance already. 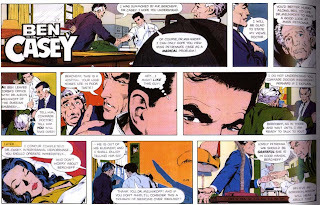 Check out this one Sunday strip of Ben Casey, and how all the elements combine to form a big Ben Casey head!